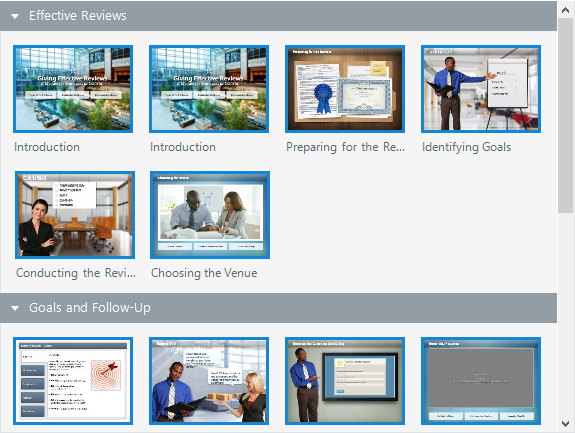 Need to combine projects or reuse slides from another Articulate Storyline course? It's easy! Just import them. Go to the File tab on the Storyline ribbon, scroll to Import, and click Storyline. Go to the Home tab on the ribbon, click New Slide, select Import on the left, and choose Storyline. 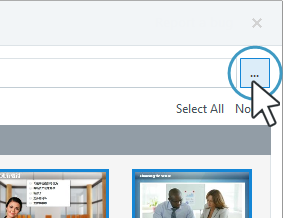 Go to the Insert tab on the ribbon, click New Slide, select Import on the left, and choose Storyline. Browse to the Storyline file you want to import and click Open. If you opened the wrong Storyline file or want to select a different one, click the ellipsis button (...) in the upper right corner to browse for another file. 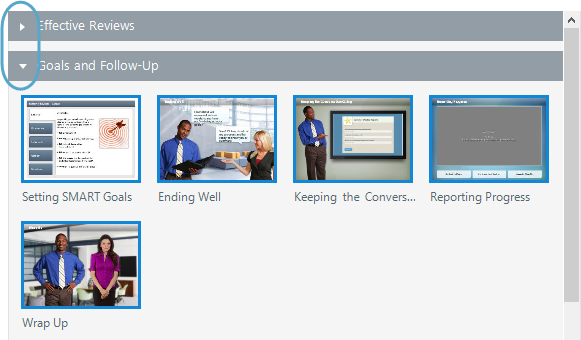 Storyline will display thumbnail images for all the slides in the project file, divided into scenes. 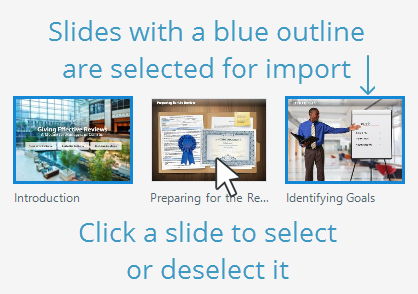 Select the slides you want to import. To select or deselect an entire scene and all the slides it contains, click the scene name. Use the Insert into scene drop-down list at the bottom of the window to choose where the imported slides should appear in your course. The default option, Same as imported project, creates a new scene for each scene you import and names each scene with the same name it has in the original project. If you select New Scene, use the accompanying Scene field to give the new scene a name. To import the selected slides into the current scene, choose Current Scene.